Consolidated figures for January to November for the main channel and its family of channels show that the audience share – the percentage of people watching a particular station at one time – is at its biggest since 2007, largely thanks to the reality dating programme. The family of channels includes the ITV main channel as well as ITV2, ITVBe, ITV3, ITV4 and CITV. The main channel alone has also had its highest share of viewing for the year so far in nearly a decade, the broadcaster said, and is in its third consecutive year of audience share growth. 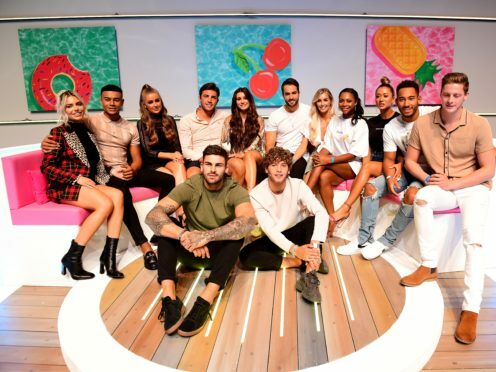 ITV2’s Love Island scored record-breaking viewing figures this year for its fourth series. The dating show, which saw Jack Fincham and Dani Dyer crowned the winners in July, averaged four million viewers, a growth of 1.5 million viewers year-on-year. This summer’s World Cup coverage was another coup for ITV on the main channel. England’s semi-final game against Croatia became the most-watched football match on a single channel ever, scoring an average audience of 24.3 million viewers. I’m A Celebrity, which airs on the main channel, had its most-watched launch episode in the show’s history, with 13.7 million viewers tuning in, based on consolidated data. ITV also had the two most-watched soaps for the first time since records began, with Coronation Street in first place and Emmerdale in second, the broadcaster said. Daytime show This Morning had its most-watched episode in its history thanks to its coverage of Princess Eugenie’s wedding, and ITV’s News At Ten bulletin has delivered its highest average share since 2011. Kevin Lygo, ITV’s director of television, said: “2018 has been a fantastic year for us – England’s World Cup clashes on ITV and Love Island were the most talked about TV of the summer, and this autumn, I’m A Celebrity has broken records in what is its 18th series. “All three have brought in huge audiences, including amongst younger viewers, who have been watching these shows in their millions. “ITV’s trend-busting performance in 2018 is also a story about every aspect of our schedule working harder, and the amazing teams who work on our soaps, our entertainment shows, our daily daytime programmes and quizzes – who continue to deliver talked-about TV that stands out in the schedule.